There are many photo editor softwares available in the market but to select which one is the best is a tricky choice and to choose from the free photo editors available on the internet is very difficult. After analysing and using many free photo editing tools , i found Photoscape is the best free photo editor currently available on the internet . It offers more advance features as compared to some commercially available photo editors. 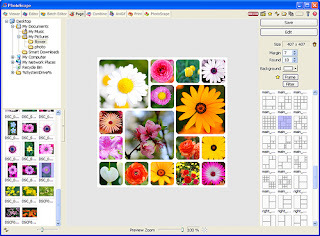 The main features of this editor are : viewer, editor, batch editor, page, combine, animated GIF, print, splitter, screen capture, color picker, rename, raw converter, resizing, brightness/color/white-balance adjustment, backlight correction, frames, balloons, text, drawing pictures, cropping, filters, red eye removal and blooming.In new version 3.5 , it now supports 35 languages. It is very fast and responsive too, memory leakage same of Mozilla firefox. User interface is very professional with tabbed navigation,despite of being a freeware it offers almost all the features of advance image editors. It is just 16.6 MB in size.So, download now.